Matt Selbie, President of Oberon3 proudly accepted the award. We received the award because we support the Phlush mission. Specifically by enabling real-time alerts for users of any restroom. This means the user can immediately notify staff of an issue so that the restroom is always operational. Therefore, it is a business imperative to allow the visitor to deliver on-site restroom feedback. Having this coupled with prompt response means the restrooms are always clean and working. Maintenance or janitorial crew get alerted if there is an issue. So they now can fix the problem before it affects other users, or incurs higher maintenance costs. Moreover, the message specifies the issue. Perhaps cleaning, maintenance, graffiti or a dripping faucet. We are also delighted to announce that a restroom only product has been developed. The new product is called Flushcheck – a mini me version of Opiniator that even allows a photo to be uploaded in addition to the main restroom problem. All feedback is tracked until completion, even thanking the user when the issue has been fixed, hence completing the feedback cycle. The full list of features is shown here. 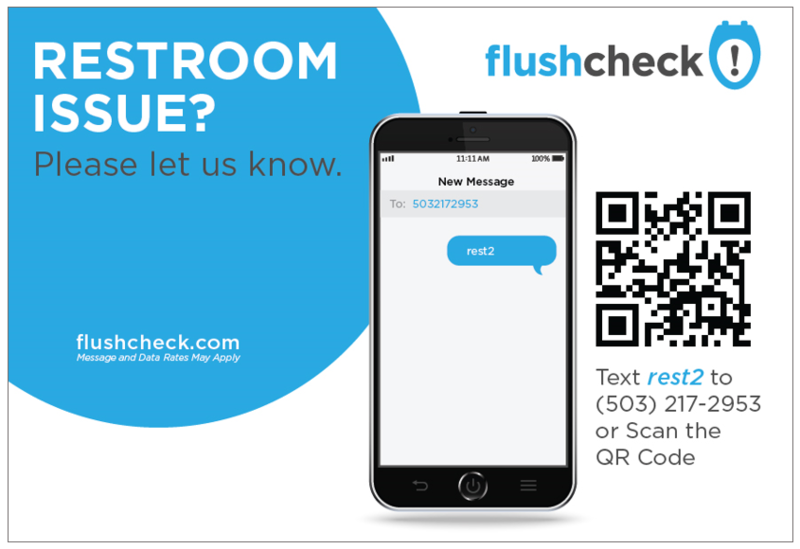 More information on Flushcheck and some of our other feedback tools can be found here.